It is certainly difficult to fathom the mind of a political leader, more so a dictator of the ilk of Kwame Nkrumah. We may, therefore, never know for certain why Nkrumah chose the path of dictatorship through the Preventive Detention Act which brought so much pain and suffering to many Ghanaians and Ghanaian homes. It was not because of any perceived threat to his life because there was no such move as would lend colour to such a suspicion when he imposed that Act on the young and newly Independent nation of Ghana. It is not improbable that Nkrumah saw the Preventive Detention Act as a violent and repressive instrument which would facilitate and actualise his determination to be the President of Ghana for life. In that frame of mind, it was logical for Nkrumah to consider all political opponents as enemies who would frustrate his insatiable ambition. This view, rather any other factor, may have motivated Nkrumah to resort to such repressive measures in order to silence his opponents. This view is also consistent with the personality traits that Nkrumah exhibited before his accession to power. At that time Nkrumah had not received an honorary doctorate, and had not self-assumed the title and style of “Osagyefo.” He was, therefore, known as plain Kwame Nkrumah. Acceptance of Kwame Nkrumah’s leadership was part of the laws binding members of THE CIRCLE. This was a requirement for membership. It was clear, therefore, that THE CIRCLE was never intended to be a democratic organisation with leadership by the choice of the members. Nkrumah was to be the only leader who could not be removed even if he lost the confidence of his followers. Although THE CIRCLE was a private association, the manner in which Nkrumah entrenched himself was clearly indicative of the fact that he always wanted to lead any organisation to which he belonged, and that his position therein was incontestable by election or other means. Unknown to the leaders of the United Gold Coast Convention, this was the person that they had invited to be the General Secretary of the Convention. As it turned out, Nkrumah could not have remained in the United Gold Coast Convention of which he could not become the undisputed leader. He either had to become the undisputed leader, perhaps a leader for life, or else he had to find his exit. In other words, even if there were no ideological or strategic disagreements between Nkrumah and the leadership of the United Gold Coast Convention, it was only a matter of time before he would break away. The failure to appreciate this character trait of Kwame Nkrumah must have caused the leaders of the United Gold Coast Convention much grief. 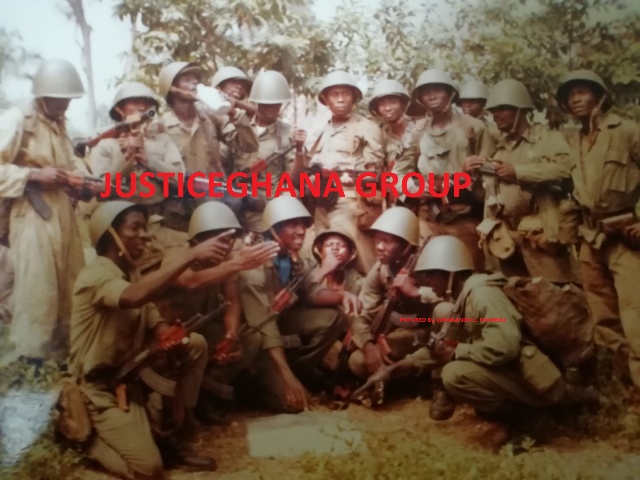 It was the same personal desire to assume leadership positions by fair or foul means, and to retain such power for life, which may explain the passage of the Preventive Detention Act by Nkrumah and which motivated his indiscriminate wielding of that power of imprisonment without trial. Now, who are those people who so much interested Nkrumah? The great Mahatma Gandhi, according to Nkrumah’s own autobiography, did not make much impression on him with his pacifist philosophy. That tactical approach, in any case did not appeal to Nkrumah because there was no Indian type of mass movement. By the time Nkrumah returned to the Gold Coast in 1947, the mass political movement and national consciousness had been kindled by Dr. Danquah and the leaders of the United Gold Coast Convention. All that Nkrumah needed was to endeavour to wrestle the mantle of leadership from the Convention. Hannibal was an ambitious military general who at the age of about 26 manouvred to become Commander-in-Chief of the Army. Propelled by the passion for leadership and consumed by eternal hostility to Italy, he precipitated the two Punic Wars. Of Oliver Cromwell we know that he usurped the position of the Crown and became Protector who sought to impose himself on the United Kingdom. At east twice he dissolved Parliament because it would not do his bidding. He insisted upon government by a single person (himself) and Parliament He believed that he had been “called” to power, much as Nkrumah would proclaim his right to rule Ghana with “Messianic Dedication” Mazzini was noted for his efforts at a united Italy. He plotted conspiracies against the existing governments of Italy in the 1830 and 1840s but the revolts met with failure. Ghana was not faced with an Italian Risorgimento for which Nkrumah could deduce any useful lessons from Mazzini but subterfuge. We know the expansionist ambitions of Napoleon Bonaparte which plunged the world into the Napoleonic wars. Significant, however, is the grand scheming by which Napoleon was able to dispose of his colleagues on the early ruling Council to eventually become the Emperor of France. One is reminded, in this context, of Kwame Nkrumah and the Big Six. Of the five others arrested with him by the colonial Government, Mr. E. Akuffo-Addo was the luckiest. He was dismissed by Nkrumah from the Supreme Court of Ghana in disgrace. The rest were not so lucky. Mr. William Ofori-Atta (Paa Willie) was in and out of prison without trial during the Nkrumah era. Mr.Ako Adjei remained in detention in prison until released when Nkrumah’s government was overthrown in February, 1966. Mr. E. Obetsebi-Lamptey, although his body was riddled with disease, was sent on a stretcher to the Nsawam Prison and detained there without trial until he died. The case of Dr. J.B. Danquah is well known and well documented. When he was detained in prison the second time without trial, Nkrumah ensured that he endured the most cruel and inhumane treatment leading to an excruciating and painful death in a condemned prisoner’s cell at the Nsawam Prison. Who are the rest of Nkrumah’s influential thinkers? Benito Mussolini, Lenin and Adolf Hitler. The populist sloganeering of Hitler’s National Socialist Patty (NAZI Party) and the vilificatory propaganda of Josef Goebbels must have appealed to and greatly influenced Nkrumah. He founded the Convention People’s Party by vilifying Dr. Danquah and others of the United Gold Coast Convention through the fabrication of baseless lies about them. That was Hitler’s path to power in Germany. Similarly, Nkrumah must have admired the dictatorship of Benito Mussolini who, with iron fist, forced Italy into the embrace of the Axis Powers during the Second World War. The Communist leaders were greatly appealing to Nkrumah and he adopted many of their totalitarian measures in the new Ghana. His admiration for communism as a political system was not disguised. He had Soviet and other communist advisers in the economics and finance ministries of Ghana when he was in power. They also advised and controlled his military and security agencies which became agents of oppression. The fascination with Lenin, therefore, was a logical deduction even if Nkrumah himself had not volunteered the information.